The A320neo is part of easyJet’s plan to reduce harmful carbon emissions and slash noise pollution. The company also plans to run all short-haul flights on battery-run planes by 2028. This latest aircraft is said to reduce by half noise on take-off and landing when compared to an average plane - welcome news for those living under the flight path. It's also said to cut CO2 emissions by 15 per cent. Official data from Manchester Airport reveals 31,600 people within 30sq km of the airport are affected by 57 decibels or above - the figure marking the starting point for ‘significant community annoyance’ according to the Government threshold. 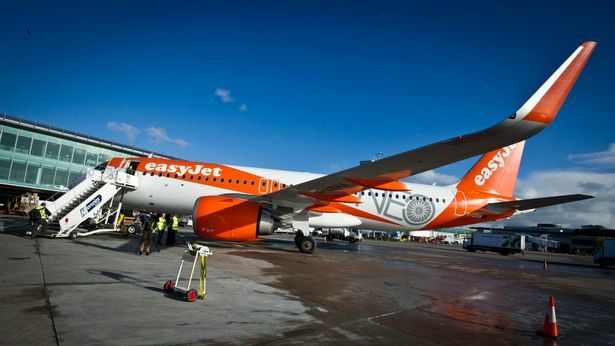 Since 2000, easyJet bosses say, they've reduced carbon emissions per passenger, per kilometre by more than 32pc. Its current target is a 10pc reduction from its financial year 2016 performance by 2022, which would be a 38pc improvement from 2000. 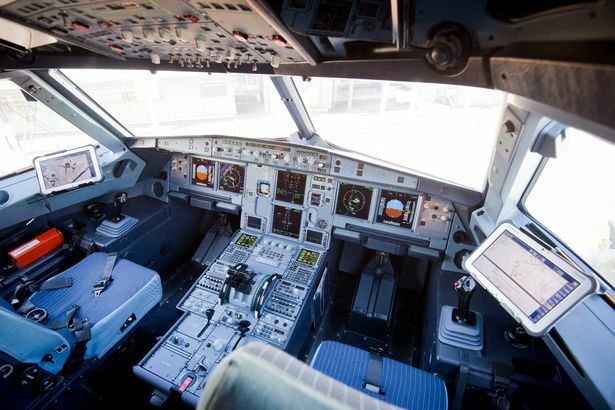 Fuel consumption is the biggest polluter and the airline says is is working on more ways to reduce its carbon footprint. This includes working with Wright Electric to develop a passenger plane that runs on electric batteries. The goal is that all short-haul flights will be operated by all-electric planes within 10 years.